She has been described as one of our best but least known queens. Even today, the courtier’s daughter from a northern family who became Henry VIII’s sixth and final wife is generally remembered only as the one who ‘survived’. The Protestant tradition venerated her religious writings, Victorian historians depicted her as a worthy, matronly lady who spent much of her time nursing the ailing king and, more recently, gender historians claimed her as a feminist prototype. None of which makes her sound very interesting – yet the real Katherine Parr was a complex and appealing woman and the story of her life is so dramatic that it reads more like fiction than fact. Perhaps, ironically, that is why historical novelists have never done her justice. I became interested in writing a full-scale biography of Katherine, accessible to the general reader, while I was working on my book about her stepdaughter, Mary Tudor. The years that Mary spent with Katherine were the happiest of her adult life – a tribute, in itself, to the personality and character of Henry’s last queen – and I felt that she had been overlooked in comparison with Katherine of Aragon and Anne Boleyn. One can argue about the relative importance of Henry’s three other wives but their time as consort was brief and their influence seems to me to be demonstrably less significant than that of Katherine Parr. Nowhere is this more apparent than in the relationship that Katherine forged with the royal children. To Mary she was a companion and supporter. Only four years separated them and they shared many cultural interests, like music and dancing, as well as a love of fashion and jewellery. To Edward and Elizabeth, however, she was much more: the only mother they had really known. And she came into their lives at a crucial time, when Edward was about to commence his formal education and Elizabeth was, as a consequence, being set up in a separate household. No one should imagine that Katherine somehow miraculously invented a family life in the modern sense for Henry VIII and his children. This was not how things were done in Tudor England. But Katherine did manage to build on an awareness that was already taking shape in Henry’s mind when he married her in July 1543 – that his children were crucial to the future of England and that he should formalize, through parliament and in his will, arrangements for the succession. Mary and Elizabeth, though both still officially illegitimate, were restored to the succession in 1544. It would be an exaggeration to say that this was Katherine’s doing but her warmth and congeniality created an environment in which Henry could better appreciate the benefits of such decisions. His last queen was good at handling difficult people. She had certainly gained enough experience in this respect. Married at sixteen to Edward Borough, the son of Sir (later Lord) Thomas Borough of Gainsborough Hall in Lincolnshire, Katherine had begun married life far away from the heady atmosphere of the Tudor court. Her parents were servants of the Crown and her younger brother and sister would follow this route themselves, but Katherine did not. Instead she went north (the Parrs were from Kendal in Cumbria but Katherine was born in southern England) to an arranged marriage and the father-in-law from hell. Thomas Borough ruled his family with a rod of iron but Katherine seems to have learned how to manage him. She and her young husband – no, not the ageing lunatic of historical novels – set up their own household eventually, in a nearby village, but Edward Borough died some time in 1533, leaving Katherine a childless widow at 21. About a year later she married again, to Lord Latimer, a man twenty years her senior who already had two children of his own. 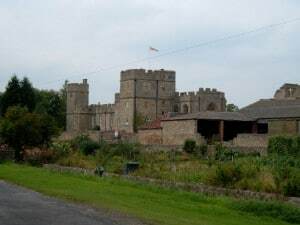 Latimer’s home was Snape Castle in Yorkshire, beautifully situated in the Dales, not far from Ripon. The idea that Katherine was somehow cast out into an impenetrable and hostile wilderness is nonsense and as the wife of a nobleman she would have occupied a leading place in local society. But Latimer, a loyal and loving husband though not a strong character, was often away fighting the Scots or attending sessions of Parliament. He was, though, a firm Catholic and the family chapel at Snape, where Katherine worshipped, is one of the few surviving pre-Reformation private chapels in England. It is open to the public and well worth a visit. We know nothing of Katherine’s own beliefs at the time. The north of England opposed Henry VIII’s religious changes and Katherine found herself and her stepchildren held hostage in their own home during the great rebellion of 1536 known as the Pilgrimage of Grace. It must have been a terrifying time, but there is no evidence that Katherine was actually physically assaulted. Latimer had been coerced into joining the rebels, though how unwilling he and the other northern lords who participated in the rising really were is open to question. They had good reason to resent Thomas Cromwell, the king’s chief minister, and were worried about the effect on society of the dissolution of the monasteries. Latimer, who had friends at court, survived Henry VIII’s wrath at his apparent treason, but Cromwell blackmailed him subsequently. By the time of Latimer’s death, during the bitter winter of 1542-3, Latimer and Katherine were living at their London house. She had had more than enough of the north of England by then. Katherine was once again a widow. Aged 30, comfortable but not rich, she was an attractive woman with auburn hair without a formal place at court (there is no evidence that she was one of Mary Tudor’s ladies) but an entrée there via her brother and sister. We do not know when she first met the king or how the idea formed in his mind to marry her, but he was lonely and, despite the way he treated his wives, he liked being married. He may also have learned that his brother-in-law, Sir Thomas Seymour, was wooing Katherine. By her own admission, she would have married Seymour in 1543 if Henry had not sought her hand himself. How could she refuse him? He was the king. And being queen brought great advantages to her family as well as privilege and status beyond her dreams. There is much evidence that Katherine enjoyed the glamour, the influence, the power when she acted as regent for Henry in 1544, as well as the prospects for improving her education and the access to new ideas. Did she marry Henry with a hidden agenda to ensure the triumph of evangelical religion (as Protestantism was then called then) at a time of great tension with the forces of conservatism? I do not believe that she did, but what is certain is that her own views and interests developed swiftly once she was queen. By 1545 she was publishing religious works in her own name and undertaking ambitious projects in the furtherance of promoting the gospel in the vernacular. But her longest and most radical work, the Lamentation of a Sinner, was not published till after Henry’s death. We cannot be sure what happened in the last year of Henry’s reign, but the royal marriage came under great strain. John Foxe’s account of the plot to bring about Katherine’s downfall may be over-stated but there was undoubtedly a move to attack some of her ladies for heresy and, by extension, to implicate the queen herself. What does seem clear is that her very considerable influence on Henry VIII did not survive the crisis, though she herself did. Yet though he lavished jewels and clothes on her during the final months of his reign, Katherine was not with him at his deathbed. Nor was her expectation that she would be made regent for Edward VI fulfilled. Katherine’s final marriage to Thomas Seymour was certainly a love match but I believe that she never gave up hope of regaining her political influence and that she saw a union with Seymour, an uncle of the boy king, as strengthening her hand. Strong-willed, occasionally given to outbursts of temper and used to being in the spotlight, Katherine fought with Seymour’s elder brother, the Lord Protector, for control of her dower estates and access to Edward VI. She also managed to gain control of both Elizabeth and another Tudor heiress, Lady Jane Grey. But it all came at a high price. Elizabeth began a flirtation with Seymour that eventually saw her sent away from Katherine’s household in the spring of 1548. Katherine and Jane Grey moved to Sudeley Castle in Gloucestershire to await the birth of Katherine’s first child. (There may have been other pregnancies during her first two marriages but if so they are not recorded.) After a difficult pregnancy Katherine gave birth to a daughter at the end of August 1548 but died within a week from puerperal fever, a fate shared by so many women, regardless of their status, in those days. 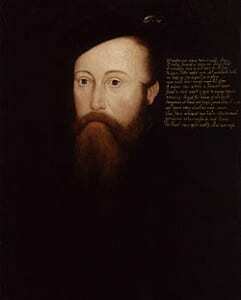 Seymour himself, a man much reviled by history, was accused of treason within months of Katherine’s death and was executed in March 1549. Her daughter seems to have died before her second birthday. Katherine was only 36 when she expired at Sudeley Castle. It was a sad end to a remarkable life. Katherine was a survivor of some of the most tumultuous years of English history and had performed the role of queen and stepmother with exemplary affection and loyalty, as well as considerable aplomb. Intelligent, passionate and ambitious, Katherine Parr was also a woman of her times. England’s most-married queen was certainly no feminist and her religious writings do not make easy reading. But she was an important influence on Elizabeth I, one of our greatest monarchs. And Henry VIII, whatever his part in the machinations of the summer of 1546, would not, in the end, see her sacrificed. Given what he had done to his other wives, that is no mean achievement. 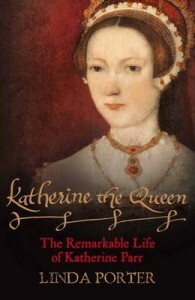 Linda Porter’s latest book, “Katherine the Queen: The Remarkable Life of Katherine Parr”, is published in March 2010 by Macmillan. You can read an article by Linda Porter, “A Ideal Stepmother”, in the March issue of History Today magazine and I have also reviewed Linda’s “Mary Tudor: The First Queen” over at our Tudor Book review site – click here to read that review. What a delightful article. Thank you Linda, and to Claire for bringing it to us. I enjoyed this guest post, thanks for sharing. Poor Katherine, to have gone through so much in her short life and to seemingly have everything snuffed out so soon. having also enjoyed your book on Mary Tudor, I am looking forward to your book. Can you tell me if Lady Jane Grey is featured much please? I greatly enjoyed the post, but must protest the characterization that “Elizabeth began a flirtation with Seymour”. She was only 13 when she went to live with Katherine, and by extension, Seymour. I won’t argue that by today’s standards, she was still a child, but would like to point out that he was the one who held the power, not Elizabeth. He was also the one who was married – to someone else. To imply that whatever passed between them was begun and moved forward by Elizabeth also implies that Seymour was somehow the victim of this ‘Jezebel’, the ‘loose’ daughter of a ‘loose’ mother. I don’t believe any of that was true. I don’t mean to sound as though I’m attacking you, and that certainly isn’t my intention, but I do get quite protective of both’s women’s honor. I don’t think that Linda meant it like that. Elizabeth Norton in her biography on Catherine Parr writes about how Elizabeth would pick Seymour as a dancing partner and then she would “laugh and pale at it”, going all shy and bashful. Norton writes that Seymour may well have taken Elizabeth’s bashfulness as a sign that she was attracted to him, rather than the harmless, innocent antics of a teenage girl who found her stepfather attractive and looked up to him. There is no excuse for his very inappropriate behaviour but Seymour in his sociopathic mind may well have taken Elizabeth’s innocent behaviour as something more and an excuse to try and start something more serious with her. In no way am I excusing his behaviour, I’m just trying to explain what Linda probably meant. At the end of the day, Seymour was the adult and should have behaved like one and as a proper stepfather instead of subjecting Elizabeth and his wife to such an awful situation. I think Elizabeth was a women who enjoyed the tease.For what it was just a tease Unfortunately Seymour typical of men could not see it for what it was.Tried to take further for that I’m sure.But was likely rebuffed by Elizabeth. Wonderful post! Thanks so much! 🙂 I can’t wait to get my hands on this book! I have just bough Linda’s book about Catherine today and I am slow in taking it out of the bag because I know I will devour it in hours! Thank you for writing it, Linda! It’s a wonderful book, Linda, and has increased my dislike of Thomas Seymour. He was older and should have known better to behave so to Elizabeth who was still only a child. It still makes me cry, thinking of Katherine, delirious and dying, accusing Seymour and Elizabeth of betraying her. I know she was delirious, but that Thomas’ behaviour still troubled her on her deathbed shows how badly she had been hurt. I’ve always thought that Seymour was a most unpleasant man – determined to gain power and control, whether through marrying Mary or Elizabeth (both of which he tried) or by marrying Catherine Parr. Fantastic article. I have visited Snape and saw the magnificent if small Chapel on our visit. There is a beautiful carpeted staircase up to the Chapel which actually felt very Royal. The village itself is very pretty and I can see Katherine as Lady Latimer being very comfortable at this stately home. Earlier this year I was honoured to visit Sudeley and was impressed by the new tomb of Queen Katherine Parr with her effigy on top, looking so serene and beautiful. The back of the tomb maintains some of its original colours and it is certainly her real home. The present owners have put together a collection of personal items and historical items connected to Katherine and lovingly restored her home.